Bringing global learning into the classroom has the potential to transform learning and teaching by promoting relevant, flexible skills and engaging issues that are of global significance. It is possible to integrate global competency into any and all content areas, and I invite teachers to begin this work right where you are. For you, I offer three doors. First, if you are wanting to understand what global competence is and what curriculum can look like, I invite you to explore. 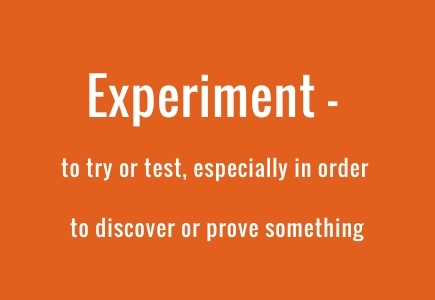 If you are ready to bring lessons and experiences to your students, I urge you to experiment. And if you have experienced the benefits students and teachers can reap from teaching local with a global mindset, I encourage you to commit to fostering new opportunities for your students and as part of your own professional development. The links below represent resources I have used - and continue to use - in my own development as a global educator. Additional online resources can be found here. This page offers an essential primer to understand global competency pedagogically and practically including a case for global competency as part of students' repertoire to engage in an ever-changing world and resources for including global competence into curriculum. For inspiration and a comprehensive overview of how global competency can be seamlessly implemented into curriculum, take the time to read Educating for Global Competence: Preparing Our Youth to Engage the World, by Veronica Boix Mansilla (Harvard School of Education) and Anthony Jackson (Asia Society's Vice President for Education). The Oxfam Global Citizenship resources offer an important complement to Asia Society's global competencies, articulating not only skills and knowledge necessary for global citizenship and competence, but providing a framework for the development of values and attitudes conducive to students being globally engaged. While specific to the United Kingdom (England, Scotland, and Wales), the content is applicable and relevant to any educator who wishes to meet students' needs for 21st century skills through global learning and citizenship. Primary Source is a non-profit organization whose mission is to advance global education in schools. You can sign up for a free, basic membership which provides access to curriculum, classroom activities, and guides that offer links to multimedia resources to aid in curriculum development and implementation. This page has links to a variety of global education resources including PDF files of global competence unit plans. World Wise schools is a Peace Corps initiative that offers teachers lesson plans, resources, and the opportunity to partner with Peace Corps volunteers around the world. Teachers will find lesson plans and multimedia resources on global human rights and social justice topics like child labor, peace education, health and gender equality. Facing the Future offers curriculum around global sustainability and a framework that promotes global issues, sustainable solutions, and positive actions. iEARN is a network of teachers and students around the world who work collaboratively on projects through the internet. Projects often engage students in working with peers from 5 - 10 countries on multiple continents. There is an annual membership fee for individual educators or schools. I have worked with iEARN for two projects. You can read about one of our projects here. TakingITGlobal for Educators offers an online platform for teacher collaboration to inspire student engagement in global citizenship, enviornmnetal stewardship, and student voice. There are multiple opportunities for online communication in addition to a plethora of multimedia resources on topics like culture, human rights, and media. The Teachers for Global Classrooms Program (TGC) is a year-long professional development opportunity for United States elementary, middle and high school teachers to become leaders in global education. This is an outstanding program through which to learn about how to engage students in global competence. I participated in TGC in 2013-2014 and traveled to Colombia for my international field experience. You can read about my experiences here.